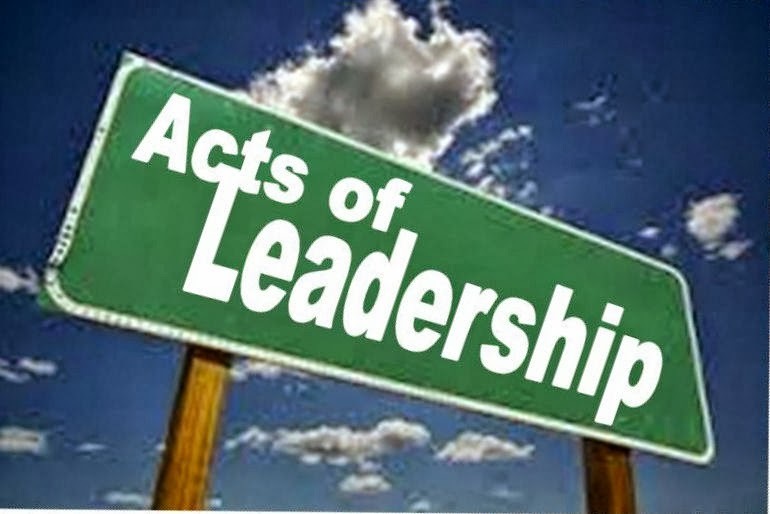 Acts of Leadership: Why "Acts of Leadership"
Why would anyone call a blog "Acts of Leadership"? Jackson and Parry say that leadership “is a process that goes on between all people and that all people can be involved in leadership, almost in spite of their formal position” (2008, p. 83). A leadership act takes place when, in the words of Marie Corelli, we “Seize this very minute. Whatever you can do, or dream you can begin it; Boldness has genius, power, magic in it” (misattributing Goethe, 1905, p. 31, after Anster, 1985, p. 15). It's a nice thought. We mustn't wait for leadership to happen to us: we must go out and make it happen around us.